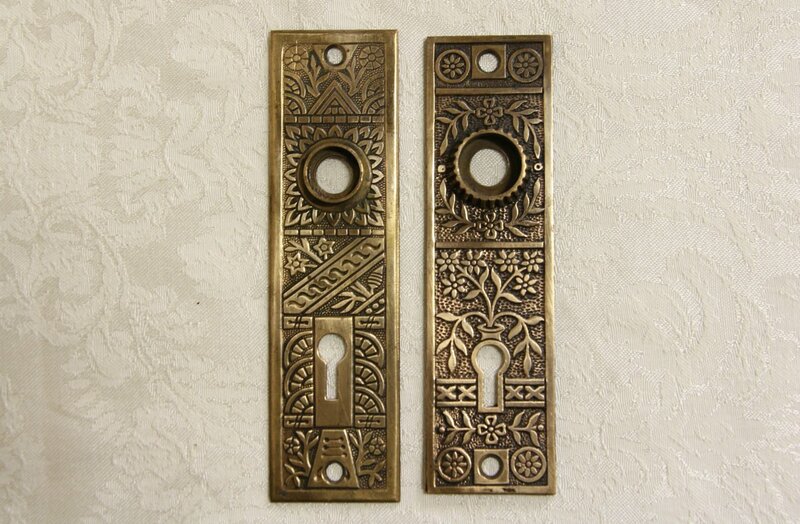 Two similar but not identical solid bronze door plates date from the late Victorian or Eastlake period about 1880. Richly embossed, this American made antique set measure 1 1/2" x 5." See 10 photos on Harp Gallery website that enlarge to full screen size. Shipping USPS is $10 in the US.